Home / Lifestyle / Home / How Beetlebox made moving house a breeze! 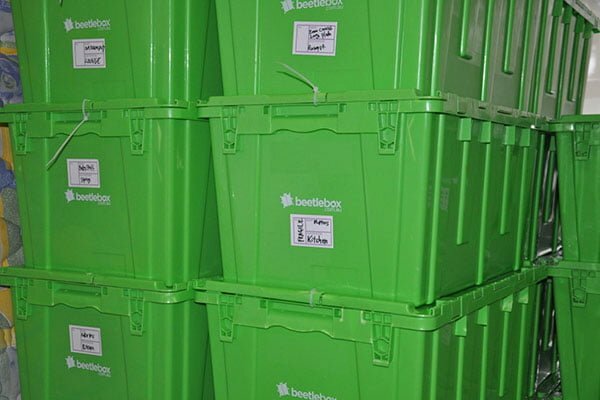 How Beetlebox made moving house a breeze! Moving house is always a stressful time. There is so much to organise before the big day… finalising the finances and paperwork, researching and booking removalists, disconnecting and reconnecting supplies, changing addresses with every company you’ve ever dealt with… the list goes on. The biggest and most time-consuming job is the packing. Every single item that you own needs to be packed away into boxes for easy removal. Everything. All the crockery, saucepans, appliances, paintings, photo frames, toys, ornaments, clothes, linen, books, DVDs, food, toiletries, etc. It’s a big job! Soon after we exchanged contracts on our new home, I received an advertising enquiry from the husband of a North Shore Mum. He ran a company called Beetlebox, a local company who hire out large plastic boxes for moving house. I had never heard of anything like this before, so was intrigued. I’ve moved house countless times. In the past, we have always scrounged around to find cardboard boxes. Inevitably, they are often pre-used, covered in scribble and half ripped from tape removal. They are different shapes and sizes, so stacking can be a little awkward. Cheap, but not ideal. Given that we were about to move (what good timing! ), Glen from Beetlebox offered to let me trial their system, so that I would share my experiences with North Shore Mums. I jumped at the opportunity! About three weeks before moving day, Glen arrived at my house in his van, to drop off 36 large green plastic boxes, two cardboard wardrobe flat packs, a dolly, tape, plastic ties, black marker and labelling stickers. We were set to go! Just seeing the boxes neatly stacked by my front door filled me with a strange sense of excitement. That weekend, we got started. We purchased a couple of new DVDs to ‘babysit’ the children for a few hours so we could pack without too many disturbances. It’s probably not the best parenting, but sometimes you’ve just got to do what you can to get stuff done! Packing the Beetleboxes was really straightforward. You simply popped the items in the box (being careful not to pack them too heavy), closed the attached lid, fed one plastic tie at the end to secure and labeled it. Each box only took about 10 minutes to fill and close. As part of the package, we were given a dolly. For the heavier boxes you could simply roll the finished Beetlebox to your stacking area. We used our Guest Room to stack all the boxes, and it just looked so neat and tidy! Easily stackable boxes… looks nice and neat too! When we arrived at our new house, unpacking at the other end was just as simple – you just had to snip the plastic tie with some scissors, unpack the items, and then stack the plastic tubs by the front door, ready for collection. I thought it would take us at least a week to unpack, but it was just we were done in a couple of days. Event the removalists were impressed, commenting that they were really easy to move and stack in the truck. 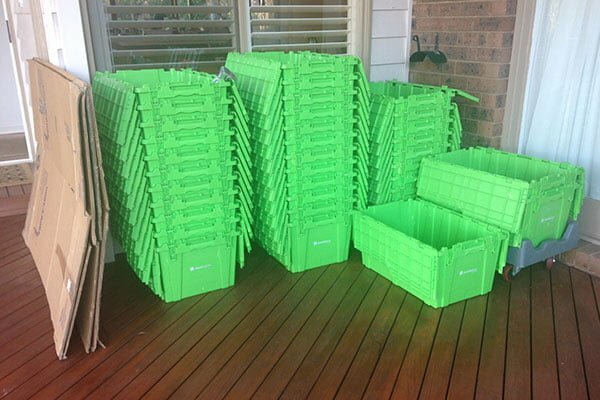 So if you’re moving house soon, I would highly recommend checking out what Beetlebox has to offer, and ditch the cardboard! 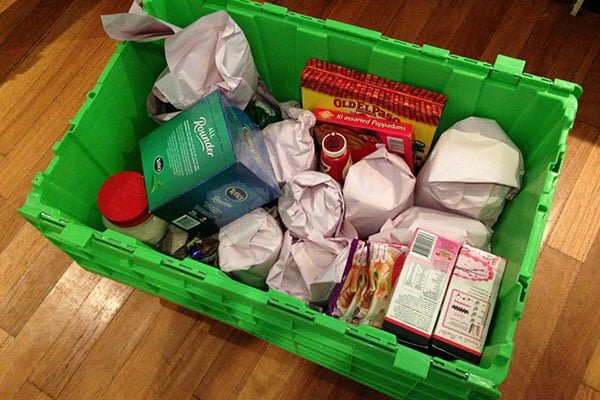 Why Beetlebox beats Cardboard Boxes! They save you time. Packing and unpacking is so much quicker and easier with Beetlebox. You don’t need to faff around taping up flimsy cardboard boxes (and hoping that the bottom won’t fall out). They’re really easy to use. They’re lightweight and easy to use – just lift a box out of the stack, open the lid and pack! When full, simply close the hinged attached lid and use a plastic tie to secure it. Your items are really well protected. The crates are durable, strong and protect your items much better than cardboard. It’s good for the environment! 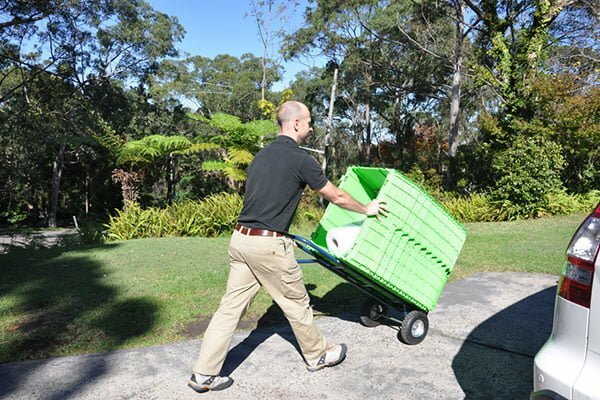 Beetleboxes can be reused hundreds of times (yet they come sparkling clean when they are delivered to your house). No leftover cardboard boxes. Once you’ve unpacked at your new house, you’re not left with hundreds of torn cardboard boxes to get rid of! Beetlebox come and pick them up. Moving house soon? Click here to go to the Beetlebox website for more information. 25% off all plantation shutters & blinds from InStyle!